Let’s take the above statement and apply it to a more real world example I feel most of you can agree with. Well use for instance college football here in the States. Hard facts and biases aside, college team Alabama is one of, if not “the” top team in the NCAA. However with that said if you made the same argument based on how many points they scored per game then they you would see that in 2017 they are ranked 13th for points per game and in the last 3 years you better just keep scrolling down the list because they are 82nd on that list. Again according to those last 3 years Alabama won the College Football Playoff National Championship 2 of the 3 years and the other year they still played in the championship placing 2nd overall for the year. This is exactly my point I’m trying to make that ranking’s based on battle points skew real results. If you still disagree I’ll go into a few topic points below. Two top players pitted against each other in starter rounds. Two top players each driving a very meta competitive list get slotted to battle each other the first round. I think you are already seeing the point to this situation being laid out, but I’ll keep going. These two ultra competitive players are more than likely going to have a low scoring game compared to the other players because their lists are designed to give up very few points and maximize the amount of points they are able to score against their opponents that did not come as well prepared. The first issue is in the above statement, “ their lists are designed to give up very few points…” If both players have a list designed to keep point gaining low for their opponent then that's the most obvious issue. They both won't be scoring very many points off of each other. Well let's travel onto the next topic point then. Mediocre lists running up the points on a not so good list or mismatched list. The topic header makes this point pretty clear, but we’ll go ahead and theorize this topic playing on the back of the above topic point. Round 1 or even round 2 and honestly you could even say that this following scenario happens in both round 1 and 2 and so on. We have a top meta player or even a decent above average player that has been matched up to play a newish player or even say someone who plays often, but just isn’t that good and they don’t care cause they come just for a good time (which is perfectly fine and helping support the hobby and tournaments is awesome! Keep coming and throwing dice!) Back on topic… Again we can see where this scenario is going. The prepared and meta-ish player is going to have a really high scoring match against his opponent, being able to maximize all points scored during their match or even the majority of all points available. Now this player who may be a great player, but for argument's sake let’s remind ourselves that the two actual top players played each other opening round, goes on to the next round or rounds with such a hefty lead in points that the other two players can never really catch up because this other guy just maxed out his points first round and scoring high the other rounds. This guy wins the tournament, but was he actually the best player there? Was the tournament pairing players based on points? Did the super meta then have to play a mediocre player to make a come back or hypothetically another super meta had the same match his opponent did so now two super metas are having another similar match, thus plummeting their scores even further? A win is a win, fact. Winner’s should always play winner’s until there is only one winner. In a 300+ player tournament is this point of view possible? Hell no, at least not with the current way tournaments and leagues are run. Showing up for a two day event and expecting one winner is not a possibility that can be accomplished in that amount of time. Is there a solution? I’d say not yet. I will say though that tournaments that score on battle points alone are skewing the real results of top players playing each other or the underdog story of near victory after near victory till it is all over and the underdog just kept pulling off wins. How can you say who the winner is if two 5-0 or 3-0 players never played each other, but they are ranked based off of that they won all their games and then battle points are used to determine the overall winner? Or better yet someone who loses or draws a game and comes out with a higher ranking than a player that won all their games? As a plain fact you can’t say who won because in reality they never played each other. The 2nd place guy doesn’t get 1st because he perhaps played much tougher opponents then the 1st place guy? I encourage anyone who finished reading this article to put some thought into the topic and reach out with ideas that can help change this issue because if we don’t take the time then what really is going to be done? Currently with time constraints and travel this is the only real solution to bring tournaments to a close? Should tournaments be a start and stop? Or should tournaments be invite only from local leagues (now what we run as tournaments) where the top 8 players from the different leagues get invited to play at a premier tournament where they battle each other for top player? I’ll let that idea set and I want to know what you are thinking. What have you had churning around in your thoughts? Reach out and maybe we can help spark an idea. Hey there TactNetGamers! Here is the Q&A for the Flying Monkey Con event coming up here shortly. I hope these Q&A articles are helpful for anyone planning on attending. Please if you have suggestions or any further questions that should be included into these Q&A's post a comment below or send an email to TactNetGaming@gmail.com and I will be sure to get the information you need or add the questions to this Q&A list. Q: How long has this event been going on? Q: Where is this event located? Q: What day and time is the event? Q: What games are being hosted for this event? Q: Where can out of town players stay overnight if needed? Q: Where can i find the rules and criteria for this event? Q: How many people participated in the tournament last year? Q: Who was the winner of each event? Q: Are there any prizes being awarded or given out? A: Yes $45 for 40k, and $35 for the rest of the events. Q: Will there be food and beverages? A: No food, only booze and water. Q: What time should players arrive? Q: What is the TO’s name or names? Q: What are the names of anyone important that will be there that players should know? Q: How many tables will be set up? Q: How many players do you hope to have? Q: Can family and friends come to watch? A: They sure can, you can ask players questions, usually they will answer them but if you want more in depth answers get in touch with one of the judges they can answer your questions with more context because the players are going to be on time constraints. 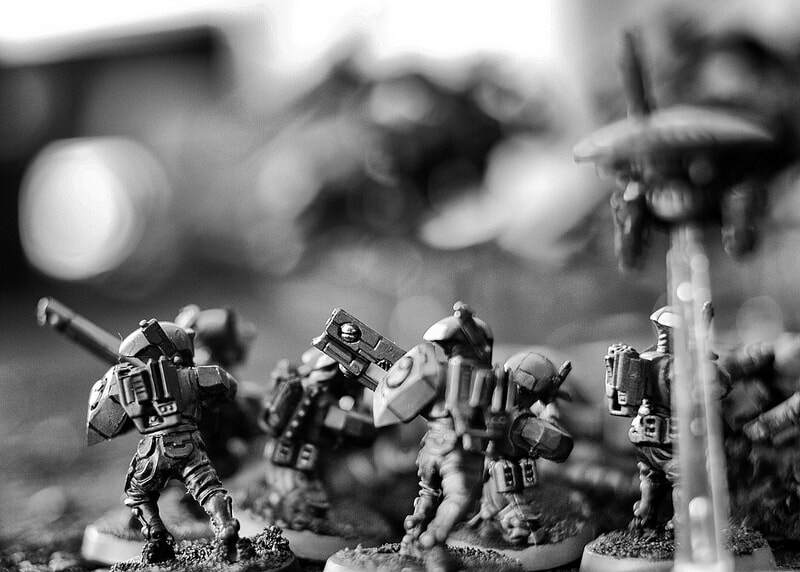 Q: Will players be allowed to rearrange the terrain or request new terrain? Q: Playing floor code of conduct or etiquette? Q: Will players need to have their physical codex and/or rules/FAQ in hand? Q: Will there be chess clocks? Q: How should players go about handling a dispute? Q: Anything to note or advice that players should be sure to have ready gaming gear wise? A: again tons, we have listed on our website of things to do. So be sure to check that out. Last weekend I had the pleasure of taking part in my first ever tournament scene and experiencing chess clock timed game play mechanics. Now let me set the stage real quick before I jump into it all. 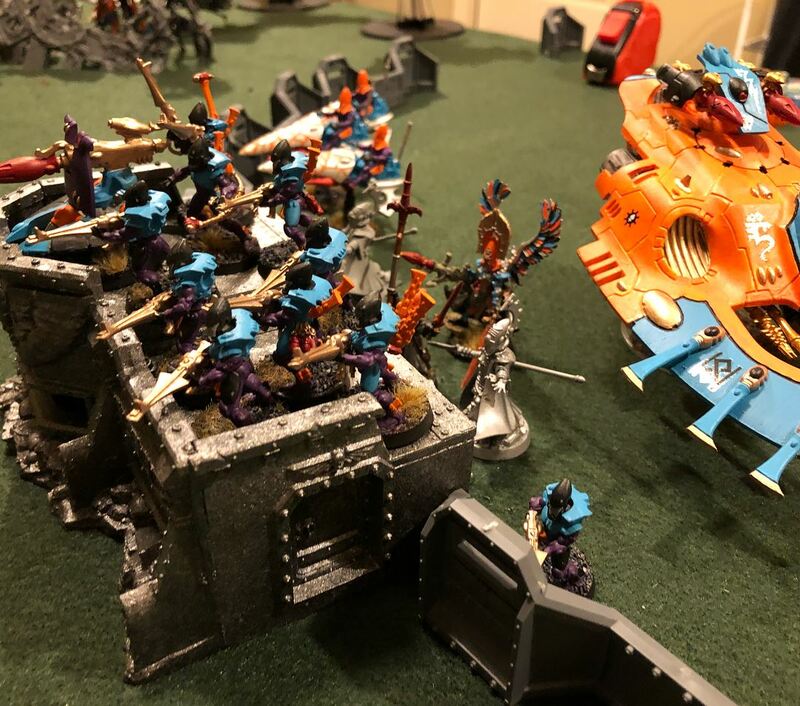 I have been playing Warhammer 40k since I was a child, but this is the first year I have ever played regularly and by regularly I mean 1-2 times a week with my best friend for the past several months. Since then I have began to intently scour the internet and YouTube channels for more Warhammer 40k content I could absorb in and start learning, so I could start taking the game to a more serious level of play. Of course I stumbled onto Frontline Gaming’s and Forge The Narrative’s channels on YouTube. And from them I started to listen to as many podcasts as I possibly could. I say all this so readers understand that I knew about the slow play issues and the coming up of chess clocks before I entered into the tournament over the weekend. First off I would like to start off by saying that the Battle for the Wooden Spoon - May event was a blast! The players were all great with their sportsmanship and just a real pleasure to play alongside with. The T.O. is Jason Horn and Jason did such a great job preparing and organizing this event and really helped me (a new player) feel welcomed and comfortable. The location for this event is at Paper Games in Bartlesville which has a really great set up for the event and such an awesome staff of employees. If you haven't yet please go visit Battle for the Wooden Spoon - June and go choose the “Going” option and come out and join us June 19th, you won't regret it! Now enter my thoughts and takeaways from last weekend's event with chess clocks. Do not fear the chess clocks! They are very simple to use and the mechanics they play into the game are not clumsy or unintuitive to feed into the game play. As a new player the biggest concern I had (more than winning or losing even) was moving fast enough so I did not hinder my opponents game play during the event. I must say having the chess clock there really helped me overcome this and adapt very quickly to the tournament style of fast play. Being able to see how much time I used up allowed me to manage my turns more efficiently and gave real insight into what was taking me to much time and where I could spend a little extra time. Honestly the great part of chess clocks was that if I were to (and I never did) take to much time it in no way affected my opponents time, it would only hurt my time. This is because while im going through my turn his time is paused and mine is ticking away. Not allowing another player to play in a tournament because you are taking too long of turns really hurts your opponents gaming experience. I don't think this was intended, however I am making note of this because this really helped me as a new player. This allowed me to really hustle through my turn and when my turn was over we paused the time for barely even 60sec to tally up the points. Doing that allowed me and my opponent to recollect ourselves take a breathe and then charge forward again. Honestly even with these 60sec pauses for point tallying we still managed to finish our games before other games around us. This really should be considered for a built in mechanic (preferably for new players). With that said, I do think that at the winners table the clock should not be stopped as this leads into my next point as well as to point out the winners table is generally experienced players who do not need to pause for point tallies. I made brief note of this in my first point above. Having to quickly decide move left, right, backward, up a floor back in of line of sight or stand still and stay out of line of sight, really made for super intense critical role of game play mechanics by being pushed up against the time. One thing that makes for great entertainment in competitive sports are the buzzer beater shots that are made or missed. The game winning touchdown or field goal as the time ticks down. My last game I felt the pressure of the clock ticking down. I was being crushed by the inevitable weight of time and there was nothing I could do to slow it or stop it. My opponent rushed his warlord out into the open and I was up against time to roll fast enough to get points for slay the warlord. This was exhilarating! The rush and euphoria I experienced during this moment was so surreal and one of the most memorable moments for me during the event. And in all honestly the one I love telling my friends and family about when they asked me, “how did the tournament go?”. Not only was it exciting for me, but when I’m telling my friends or family about it you can really see the engagement sparked for them and they always follow up with more questions about that moment. All in all do not be afraid of the chess clocks. They are actually a lot of fun to play with and really add in new dynamics to the mechanics of game play. There are some little wonkey areas, but if both players come to an agreement on the subject matter then still all is fair moving forward. I’m not here to address horde armies or what's fair or not fair for players or certain armies. I’m here to talk about the role the chess clocks filled and how I think they impacted the games that I personally played in. I for one really enjoyed them so far and look forward to using them again. I would encourage readers to pick one up and just try playing with them in your practice games with your buddies to get the feel for them. They will also be very specific to where your weaknesses are for time management during your phases.